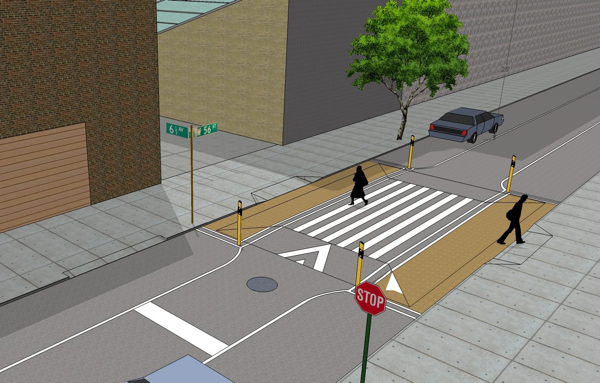 Image courtesy of NYC DOT via The New York Observer. 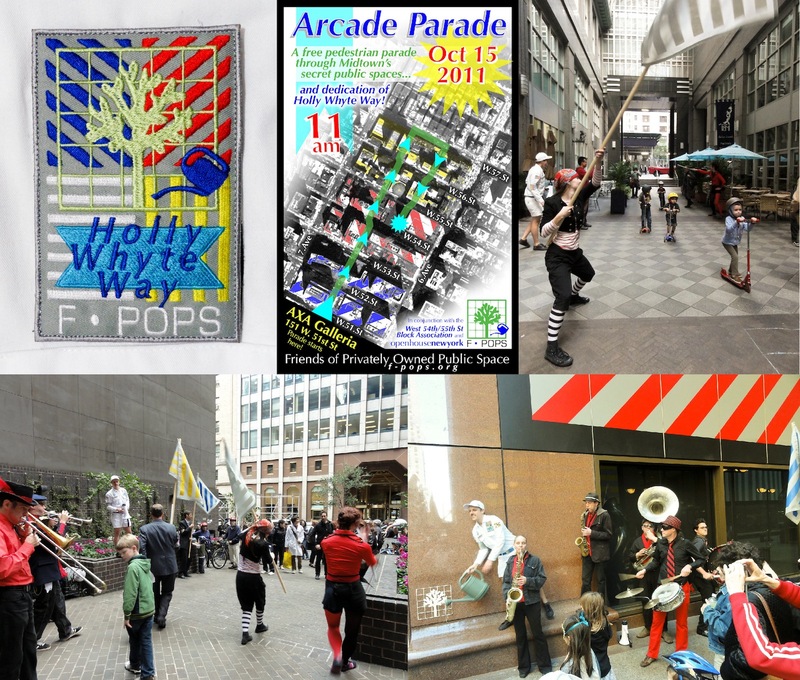 The Arcade Parade celebration of Midtown privately owned public spaces, October 2011, New York, NY. 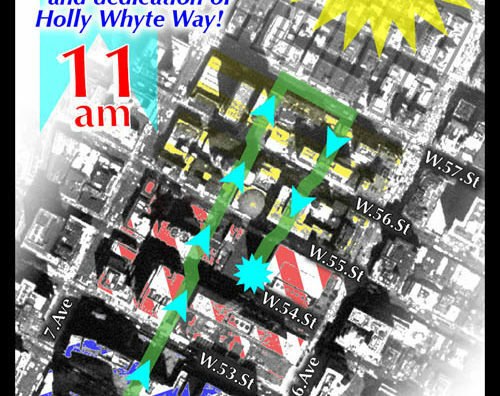 1.5 hours, uniform, maps, performers, public spaces, participants. Combination view. Thanks to everyone who participated in the Arcade Parade on Saturday, October 15th. 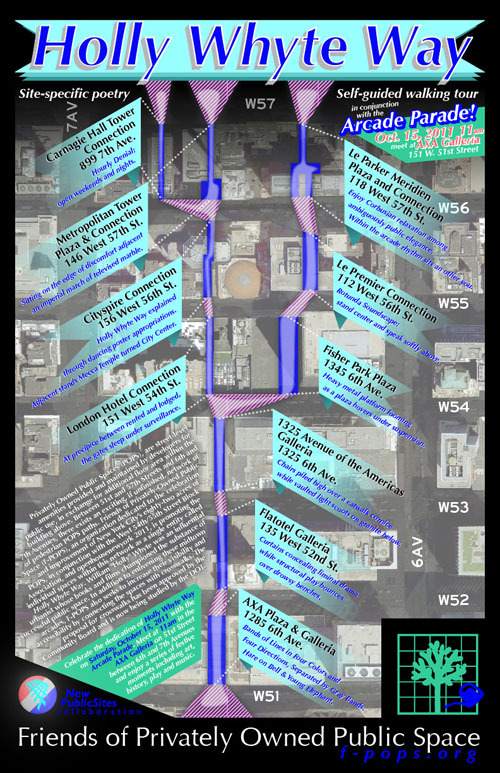 Together the F-POPS team, Hungry March Band, and over one hundred people festively wandered through Midtown’s largest network of privately owned public spaces. 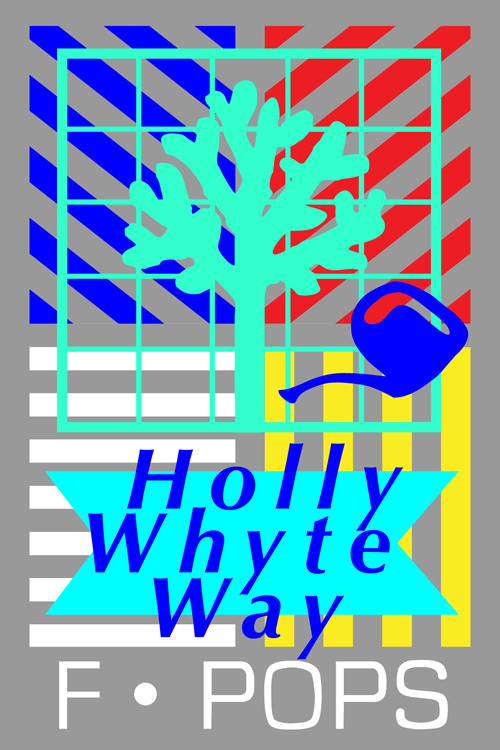 Under LeWitt stripes waving, the Arcade Parade fomented the Social Life of these Small Urban Spaces through festive music, critical observation, site specific play and interventionist sound. Through blocks played and plazas performed, Holly Whyte Way is cemented as path and place. 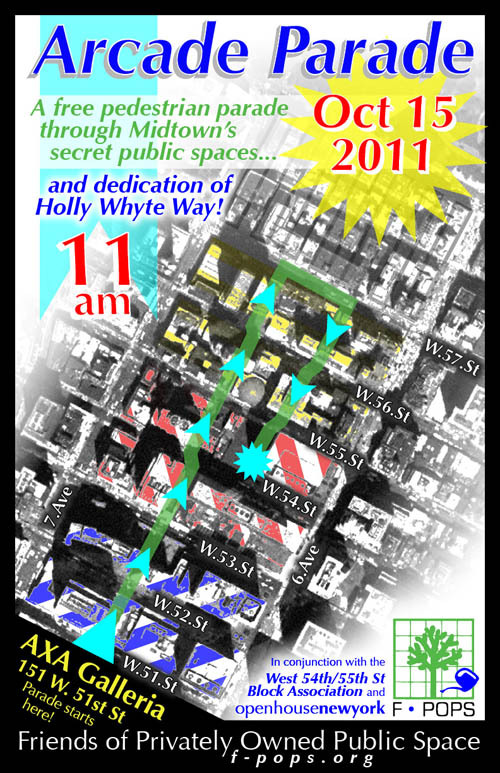 More pictures and info about Friends of Privately Owned Public Space at f-pops.org.